National Defense Corporation (NDC), owned by National Presto Industries, Inc., Eau Claire Wisconsin, was restructured in 2014 to provide a consolidation point for its Defense segment companies, which are focused on our Nation’s security and defense. The four companies included under the NDC structure are AMTEC Corporation; Amron, a division of AMTEC Corporation; Tech Ord, a division of AMTEC Corporation; and Spectra Technologies, LLC. Consolidation under National Defense Corporation benefits our customers and suppliers by providing a strategic and synergistic approach for execution of our existing business and ensures we continue to provide industry leading, high quality, effective products for the security and defense of our Nation. Prime Contractor to the U.S. Army & International Allies for 40mm Ammunition & Fuzing. Assembly of Mechanical Devices to Defense Contractors. Produces Full Load, Assembly, & Pack Services, Ordnance Manufacturing, Warheads, Grenades, Ammunition, Demolition Products & Ordnance Design, Testing & General “Work for Others” Manufacturing Services. World’s Leader in the Production of Medium Caliber Cartridge Cases (Brass, Aluminum, & Steel). Precision Defense Components, Including Warhead Bodies. Leading Manufacturer of Detonators, Booster Pellets, Release Cartridges, & Other Military Energetic Devices. Only Qualified Producer of Lead Azide in the United States. Eau Claire, Wisconsin (April 23, 2018) -National Presto Industries, Inc. (NYSE: NPK) announced today that on April 19, 2018, Spectra Technologies, LLC, a wholly-owned subsidiary within National Defense Corporation, Presto’s Defense segment holding company, received a subcontract for the production of the warhead for the Small Diameter Bomb program. This award, Spectra’s largest ever for warhead production, in combination with other recent subcontracts represents a total value of approximately $43 million. Deliveries on these awards will commence later in 2018. National Presto Industries, Inc. operates in two business segments. The Housewares/Small Appliance segment designs and sells small household appliances and pressure cookers under the PRESTO(r) brand name. It also designs and markets the first self-service/self-reloadable fire extinguisher: the Rusoh(r) Eliminator(r) fire extinguisher. The segment is recognized as an innovator of new products. The Defense segment manufactures a variety of products, including medium caliber training and tactical ammunition, energetic ordnance items, fuzes, cartridge cases, less-lethal munitions, and less-lethal accessory equipment. This release contains “forward looking statements” made pursuant to the safe harbor provision of the Private Securities Litigation Reform Act of 1995 that are subject to certain risks and uncertainties, as well as assumptions, that could cause actual results to differ materially from historical results and those presently anticipated or projected. In addition to the factors discussed above, other important risk factors are delineated in the Company’s various SEC filings. 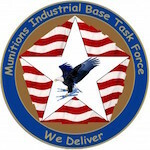 The Munitions Industrial Base Task Force (MIBTF) is a trade association of U.S. munitions manufacturers, and currently has 16 member companies The MIBTF works to make sure there is adequate funding and policies to sustain a responsive, capable U.S. munitions industrial base to develop, produce, and support superior munitions for the U.S. and is allies. 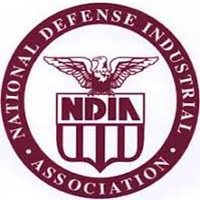 The National Defense Industrial Association (NDIA) is America’s leading Defense Industry association promoting national security. 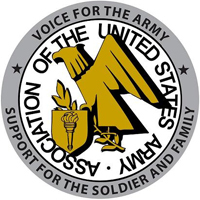 ​The Association of the United States Army is a private, non-profit organization that acts primarily as an advocacy group for the United States Army. Founded in 1950, it has 125 chapters worldwide. 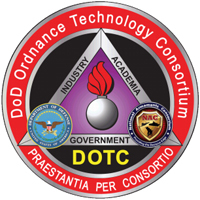 ​The Department of Defense Ordnance Technology Consortium (DOTC) was commissioned by the Under Secretary of Defense for Acquisition, Technology and Logistics as a DoD initiative. The goal was to facilitate collaborative Government, Industry and Academic ordnance technology development and prototyping. Initially in 2000 the National Armaments Consortium (NAC) was partnered with the Army’s Warheads and Energetics Technology Center, or WETC, located at Picatinny Arsenal in New Jersey. Shortly after the NAC/WETC partnership was forged, the NAC expanded its role and became the industrial/academic component of the newly formed DOTC when it was stood up as a purple organization in December 2002.